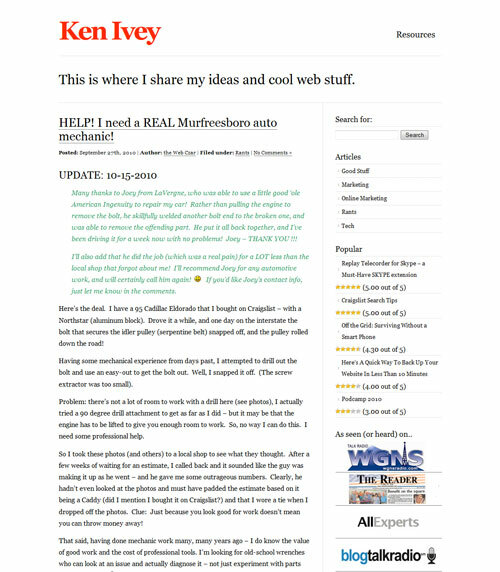 My personal website consists of random rants (and raves), articles, unique web finds, and tips/tools for making the most of your online experience. 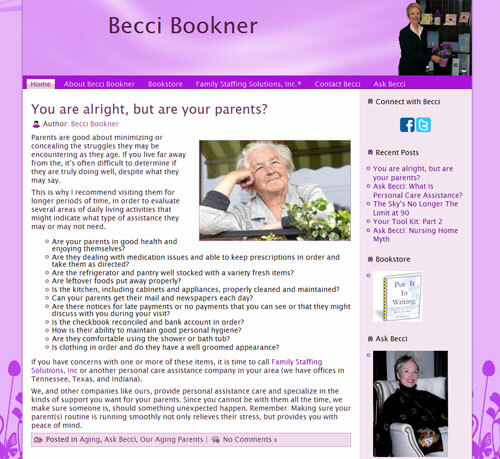 A nationally renowned, award winning, speaker, author, and educational program development consultant, Becci Bookner is also the President and CEO of Family Staffing Solutions, Inc.
An exquisitely designed luxury apartment community featuring 1, 2 and 3 bedroom residents in the heart of Cleveland, TN. 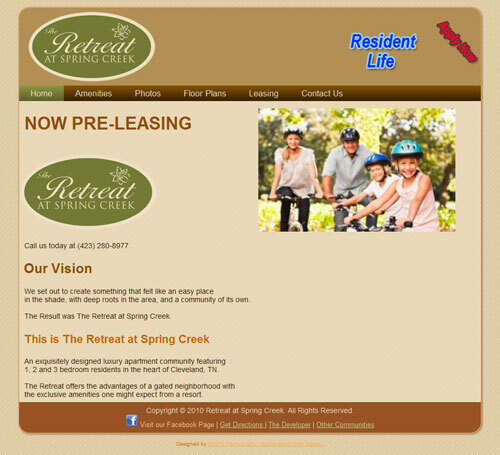 During construction, the website encourages pre-leasing while providing a resident communication hub when construction is complete. This 208 unit luxury apartment community is nestled between the lakes and the mountains in Lenoir City, TN. 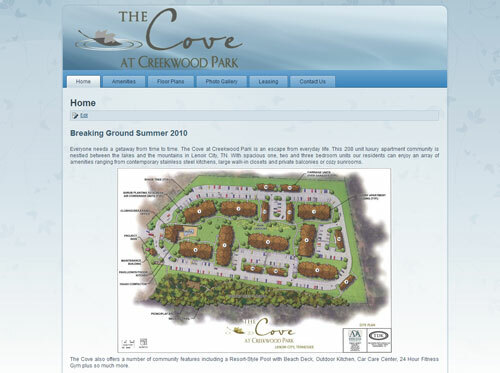 While construction is underway, the website keeps prospective residents informed and allows the developer to pre-lease the property. 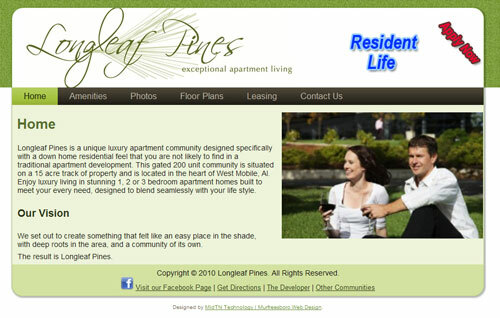 Longleaf Pines is a unique luxury apartment community designed specifically with a down home residential feel that you are not likely to find in a traditional apartment development. 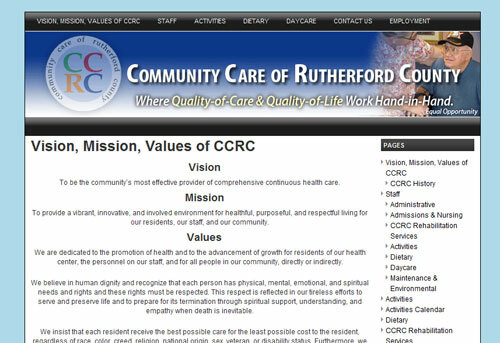 Community Care of Rutherford County offers continuous health care services at the least possible cost to their residents. Visit their website to learn everything from activities to what’s for lunch!